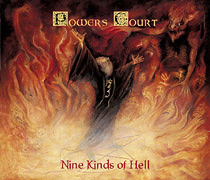 The band now known as 'Powers Court', originally began with the band name, 'Equinox'. This project was founded by Danie Powers and was an all-originals metal band that performed songs penned by Danie. The original line-up consisted of Bob 'BLZBob' Blotevogel on drums, Monty York on Bass and Danie Powers singing and playing guitar. There were never any formal recordings done with this line-up. Steve Murray joined this project and the group released their first three-song demo cassette with Gunnar Swenson on drums. Five hundred copies of this independent release were distributed worldwide. This recording is now incredibly rare and nearly impossible to find. 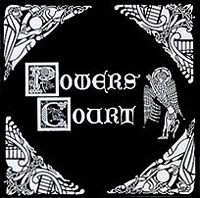 The next recording by 'Powers Court' was another independent release. This self-financed, self-titled Debut CD marked the first time the name, 'Powers Court' was used on a recording. The drummer featured on this release was session drummer, 'Rick Kramer'. This was a professionally done CD that was pressed in Canada with original artwork by Danie Powers that featured bold, black and white graphics from the 'Book of Kells' and the original logo created by Powers. The Griffin that is part of the band's logo was the 'Lion of St. Mark' from The 'Book of Kells'. One thousand copies of this CD were pressed, this CD is now rare, out of print and hard to find. 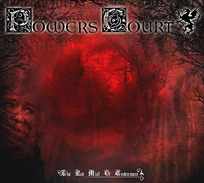 Powers Court was signed to Audioglobe SRL/Dragonheart Records, Firenze, Italy in 2000. 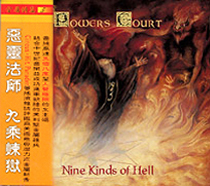 Their 'NINE KINDS OF HELL' CD was released on that label in 2001. The CD was released in Europe as a 'digipak' version with original artwork by Giovanna Corsini. Two original oil paintings were created for the CD. The artist worked closely with Powers and Murray to create their vision of the legendary wizard, 'Faust'. The song, 'Tragedy of Faust' appears on the CD as the opening track. The 'Tragedy of Faust', 'Echoes of Silence' and 'Devil's Triangle' that were featured on the original three-song demo (Equinox) were included on this recording due to overwhelming fan requests. The CD was a concept album, the premise was nine songs representing nine different hellish experiences. This CD was also sublicensed in jewel case format by 'ROCK EMPIRE', Taiwan and features the traditional 'obi strip', indicating that it's an Asian import. The obi strip is written in Chinese, the booklet and all other text is written in English, the CD is of course in English. *there may have been other sublicensing deals that we are not aware of, e.g., Russia. 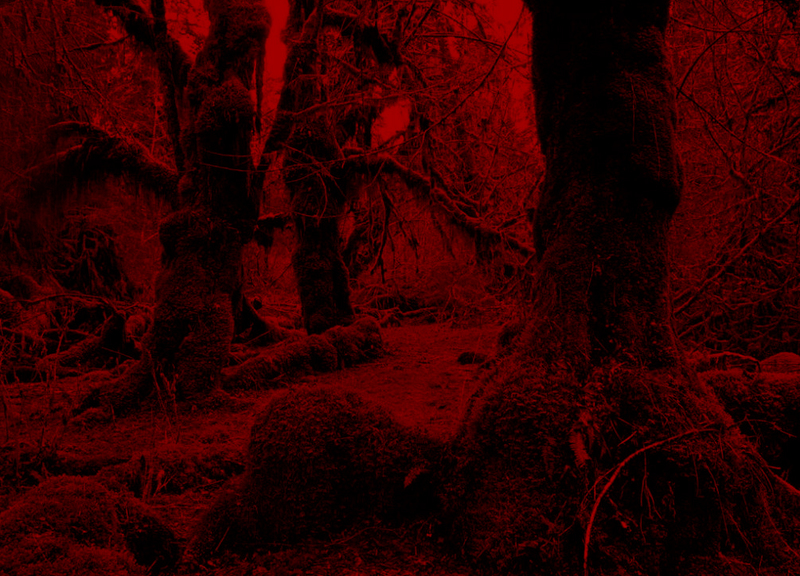 'THE RED MIST OF ENDENMORE' CD was released in 2008 on the Audioglobe SRL/Dragonheart label. This album was released in Europe as a digipak version. The CD is a concept album based upon an original story by Danie Powers about an evil landowner hailing from the mythological place she created called, 'Endenmore'. The landowner, 'Merrick', fancies the daughter of the local Village Chieftain. He uses black magick and sorcery to woo her, but things go awry after they are married because his magick is not strong enough to bind her and other arcane forces are involved that cause her to stray. A full-length companion 'novella' in paperback book format was written to go with the CD for fans. This book was professionally printed and bound and is a special 'limited edition' collector's item.